Our mobile BBQ rig, looking something like a little red barn crossed with a caboose, is fully equipped with a self-contained kitchen and wood-fired smoker so we can bring the BBQ experience to you! In a pinch we can be completely off-grid! Chef Mark Kohl has 25-years experience in cooking and making people smile. He worked his way through the boot camp years of restaurant cooking in his 20′s and 30′s before finding a niche keeping folks happy and well fed on 5-star cuisine at back-country lodges. 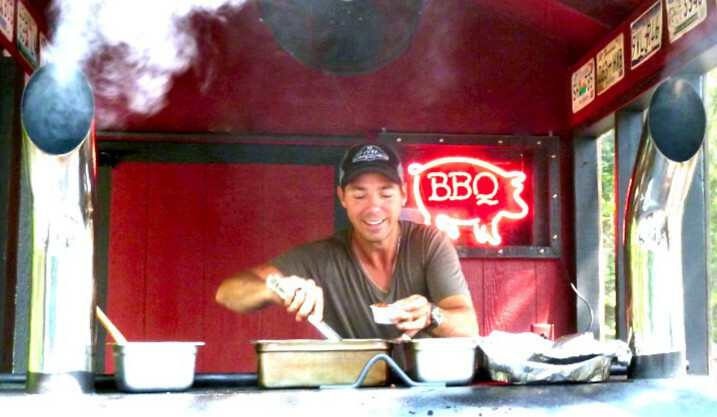 Now he’s taken his love of food into the realm of barbeque – but only during the summer months! 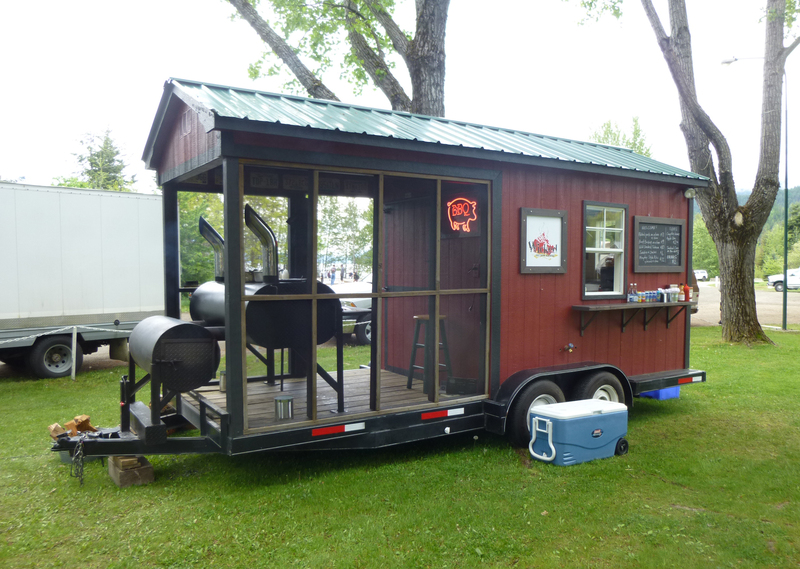 You’ll find the red-and-black barn of Wicked Southern Barbeque’s mobile kitchen and wood-fired smoker on site at festivals through out the West Kootenay and serving up good grub at your neighborhood weddings and picnics.